Barcelona was the city where we stayed the longest during our two weeks in Spain and Portugal. It was a lively city full of shopping and amazing architecture. As a first, we stayed in a hostel (okay, so we had a private room and washroom, but there was no hairdryer, so I was totally out of my comfort zone). 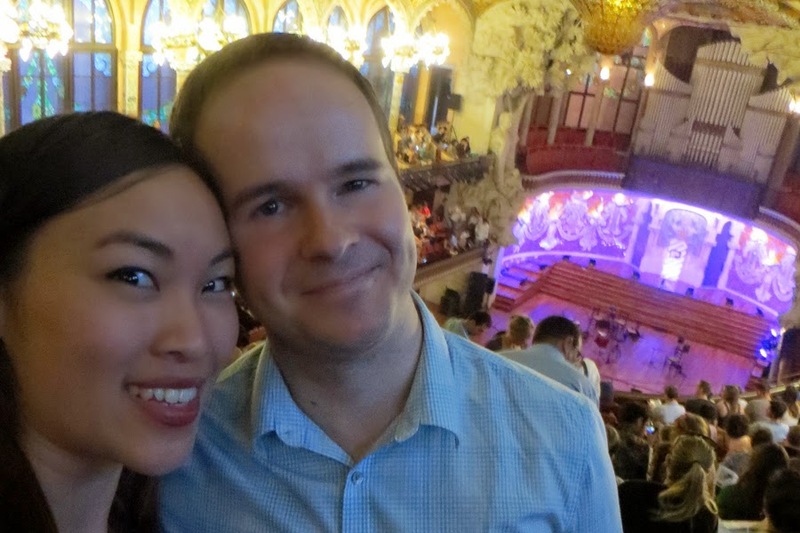 We arrived on my birthday, which we celebrated by watching the flamenco singer Diego El Cigala at Palau de la Música Catalana, an absolutely gorgeous venue. I'm really tempted to call Barcelona Gaudi's city. Most of the major attractions were designed by Gaudi, the most spectacular of which was the Sagrada Família (above). 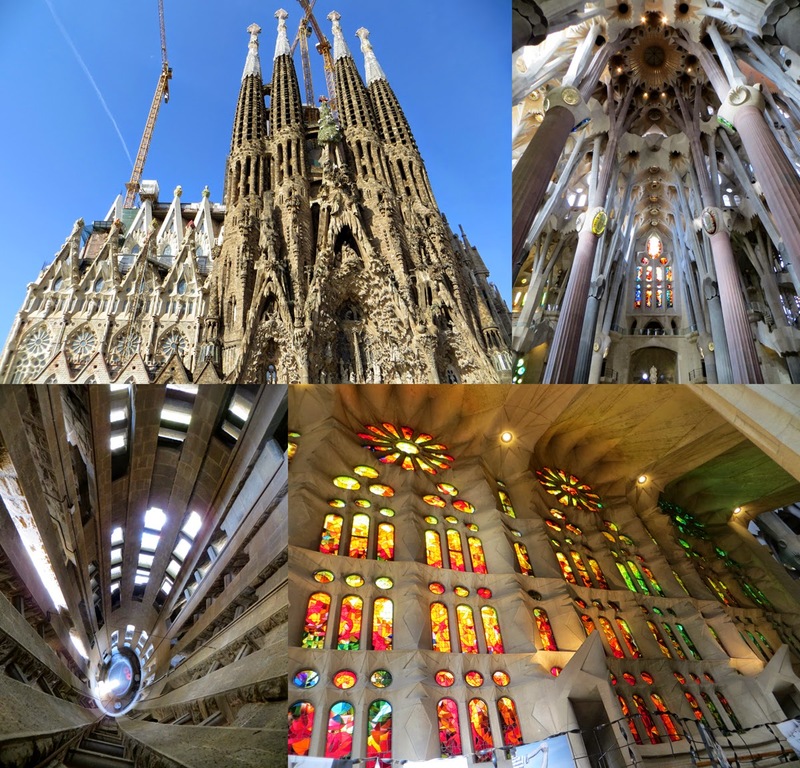 Its construction began in 1882, and its expected completion date is not until 2026 (a full century after Gaudi's death). Every inch is a piece of art. The stained glass windows bring in natural light in pools of rainbows, and the view from looking up is breathtaking. Gaudi said "those who look for the laws of Nature as a support for their new works collaborate with the Creator" and his belief is evident in his imitation of a forest through the large beams reaching to the ceiling. 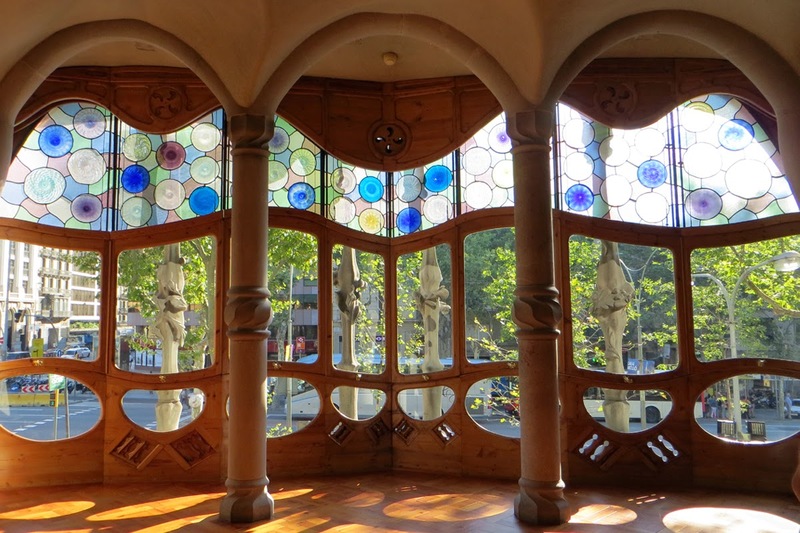 On a smaller scale, the city is also dotted with smaller buildings designed by Gaudi, such as Casa Batlló. Common themes among his designs include use of natural light, plenty of colours, and curved surfaces, as he believed "There are no straight lines or sharp corners in nature. Therefore, buildings must have no straight lines or sharp corners." 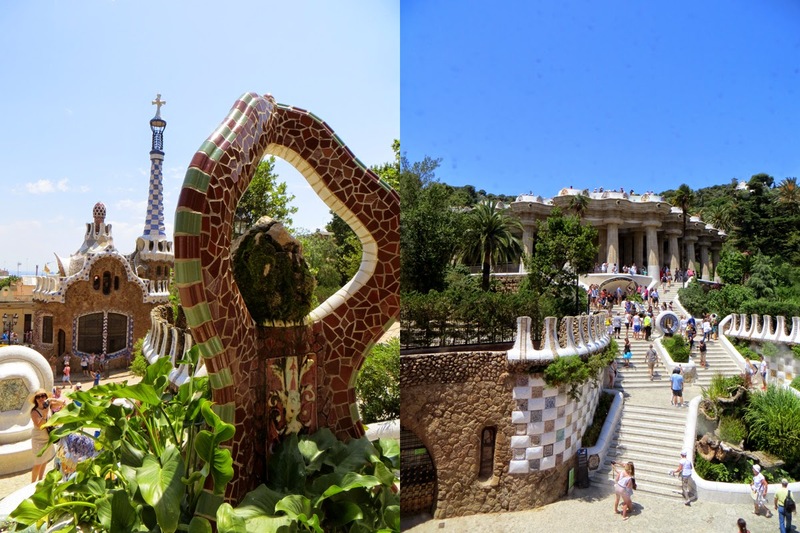 He also designed the whimsical Parc Güell, which felt a bit like walking through Alice's Wonderland, and finding life-sized gingerbread houses. We were blessed with incredible weather during our stay. Outside of Gaudi's universe, Barcelona is incredibly modern. There are many different neighbourhoods to explore, with mazes of side streets full of shopping. 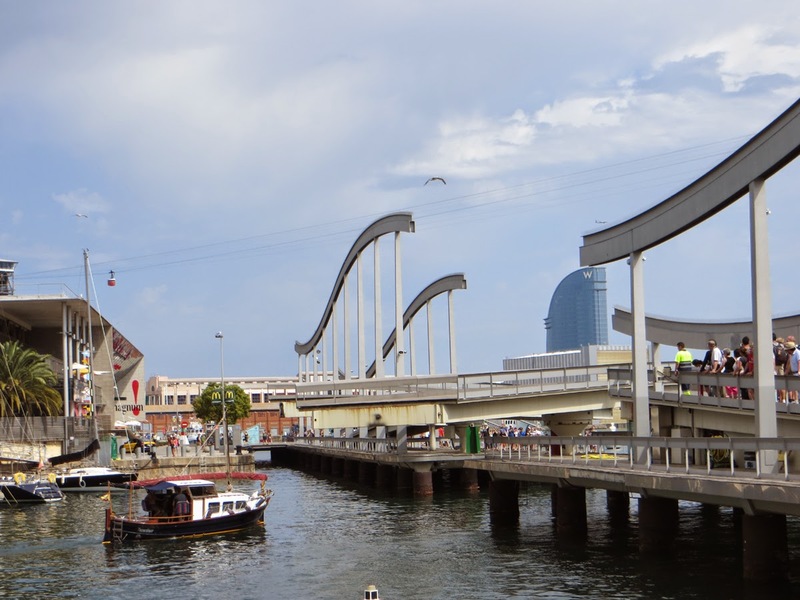 We spent a relaxing afternoon in the waterfront harbour Port Vell, where we watched the bridge open for boats to pass through. 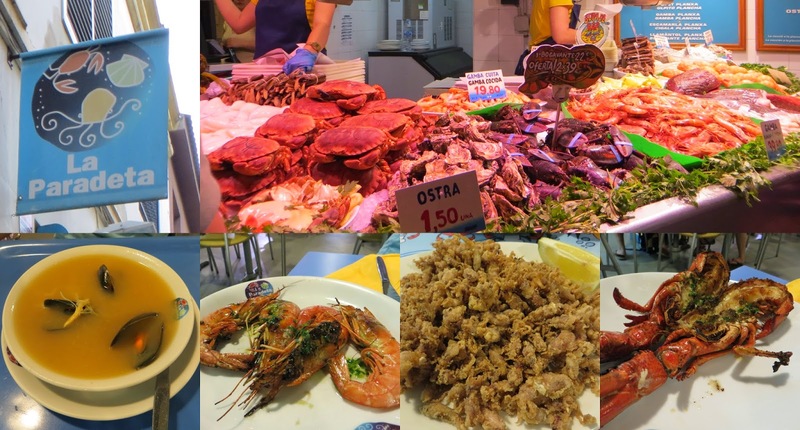 My favourite meal was in Barcelona at La Paradeta, a self-service restaurant where you point and pick raw seafood at the front, which they cook immediately and the meal is picked up at the designated window. It was a very fun experience, and the food was incredibly tasty as well as reasonably priced. 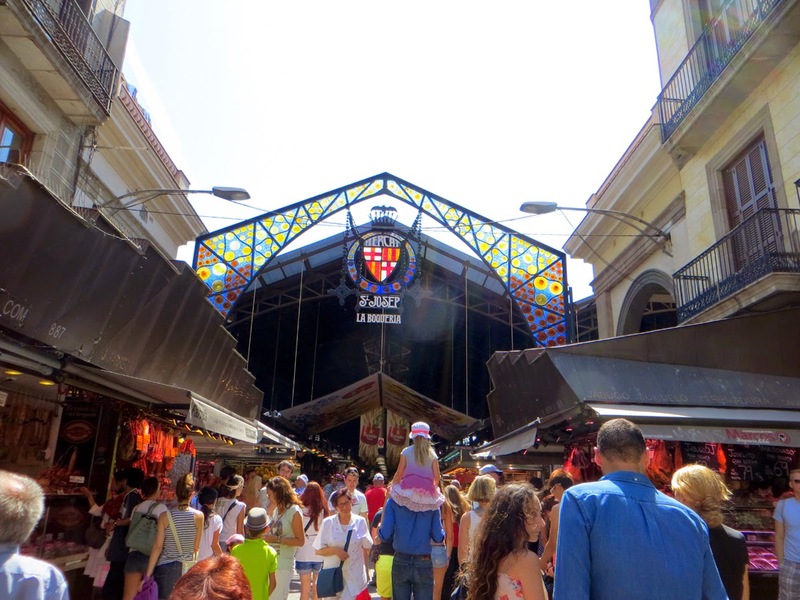 By the infamous La Rambla street is Mercat de Sant Josep de la Boqueria, a large public market with the most amazing fruit juices. It also has a large variety of fruit/vegetable stands, hams, cheese, seafood... everything. I did not attend any bullfighting shows, as I do not agree with the idea of killing for sport, and I was pleased to learn that Barcelona (and the rest of the Catalonia community) had banned bullfighting. 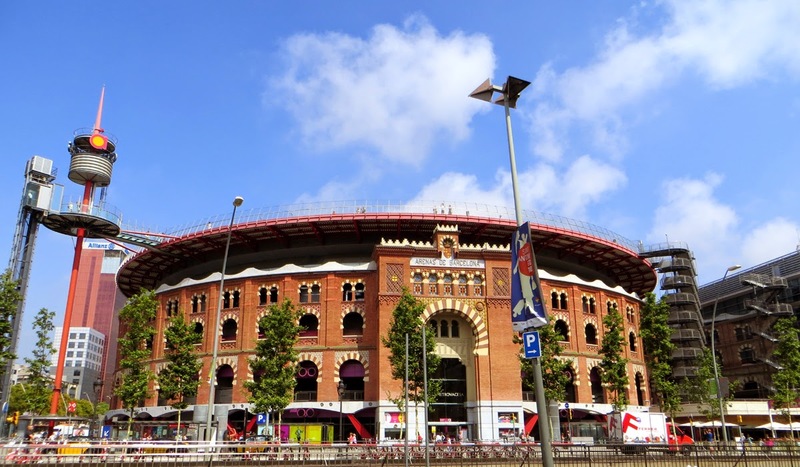 Not only did they pass this ban, but they turned an old ring, Las Arenas, into an awesome shopping centre. Needless to say, I have a great amount of respect for the city for being able to balance historical heritage with modern advancement.